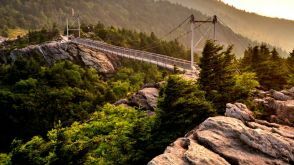 Grandfather Mountain has been an icon in North Carolina’s landscape for generations, offering stunning scenery and unmatched ecological diversity. This state park opens the mountain’s 2,456-acre backcountry to spectacular hiking and backpacking. 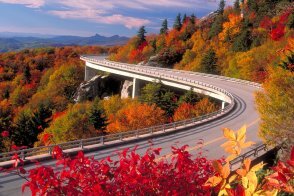 Appalachian Mountains, also called Appalachians , great highland system of North America, the eastern counterpart of the Rocky Mountains. 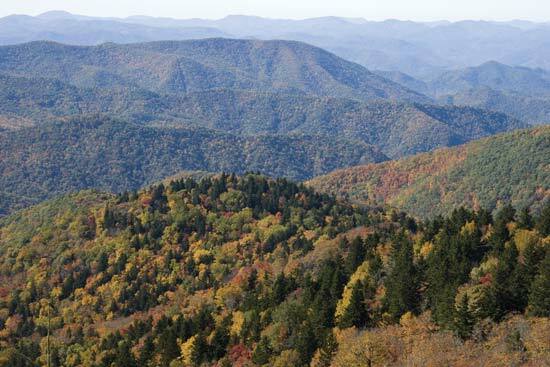 Extending for almost 2,000 miles (3,200 km) from the Canadian province of Newfoundland and Labrador to central Alabama in the United States, the Appalachian Mountains form a natural barrier between the eastern Coastal Plain and the vast Interior Lowlands of North America. Known as the “Birthplace of the, “NASCAR Stars,” and “The World’s Most Famous Short-Track,” Hickory Motor Speedway stands alone with a long list of history and tradition. Table Rock Mountain is a mountain summit in Burke County in the state of North Carolina. It provides a towering backdrop for an upcountry retreat at the edge of the Blue Ridge Mountains. Discover the history of Catawba County. The museum showcases exhibits of American pottery, art glass, paintings and prints. Enjoy a great day trip for the family.